Write-minded: Weekly Inspiration for Writers is for writers craving a unique blend of inspiration and real talk about the ups and downs of the writing life. Hosted by Brooke Warner of She Writes and NaNoWriMo’s executive director Grant Faulkner, each episode of Write-minded features a pep talk, a green-light moment, and a writing action. Brooke and Grant interview writers, authors, and publishing industry folks, and bring to this weekly podcast their shared spirit of community, collaboration, and a deeply held belief that everyone is a writer, and everyone’s story matters. The idea of narrowing the scope of one’s readership can strike fear into the hearts of writers who fantasize about broad readerships, and their writing being for everyone. But there are amazing rewards that come with understanding your niche, and writing to a specific audience. Brooke and Grant speak with their guest Ryka Aoki about niche writing, micro and small presses, and discovering and carving out a path to a defined readership that’s both supportive and career-propelling. Most authors dream of getting traditionally published, but in today’s publishing climate it’s becoming increasingly difficult for authors to get those deals. In today’s episode, Brooke and Grant discuss traditional publishing, The Dream, and rejection. Meredith May, a journalist and sixth-generation beekeeper who has a brand-new memoir out, shares her long journey toward traditional publication—including the many drafts, writing the book proposal, and her eventual meeting of hearts and minds with her publisher. And don’t miss this episode for what you’ll learn from Meredith about bees. In this week’s episode, Brooke and Grant tackle one of the problematic effects of building an author platform: what happens when you start to feel artistically limited or creatively hemmed in. Many authors can feel like they’re supposed to be the “poster child” for the stories they want to share. Others experience success in a single genre and discover how difficult it is to try to make the leap into another. Having forged her way through poetry, memoir, and fiction, Leigh Stein—author and co-founder of BinderCon—is the perfect guest to unpack these topics and more. In today’s episode, Brooke and Grant speak with YA author Lilliam Rivera about writing contemporary YA, the power of finding your own experience in literature, and why you might be drawn to writing the stories you wish had been available to you when you were young. YA as a genre is exploding, and Rivera discusses why she doesn’t hold back when it comes to what she’s willing to explore in fiction—race, family dynamics, violence, and more. Rivera’s drive and passion will inspire any writer who’s felt drawn to write to share a worldview that’s been historically underrepresented. If you’re curious about—or maybe even terrified by—the idea of getting advance readers for your work-in-progress, you’ll want to hear from today’s guest Taran Matharu and listen to his success story. Taran shared his work on WattPad and garnered 3 million reads in less than six months. He shares his story on today’s episode, as well as lots of concrete tips for all you writers out there about how to gain more exposure for your work. Whether you’re already an indie author, or thinking about becoming one, this week’s episode is chock-full of encouragement and concrete advice from Sarra Cannon, career author of 25 books. Hear what Sarra thinks are the pros and cons of self-publishing, find out why publishing DIY is so invigorating, and get some insight into the various paths to publishing available to today’s aspiring authors. The business of book publishing is one of the most important, albeit less glamorous, parts of becoming an author. This week Brooke and Grant are in conversation with industry expert and veteran Jane Friedman as they cover innovation, publishing trends, the future of book publishing. Jane also offers concrete and sound advice for authors, and busts a few industry myths, too. Writing about other people is scary. You may worry about the fallout—that people you’re writing about will be hurt, angry, that they’ll disown you. You may worry about your parents, your children, your friends. Many writers contemplating memoir go so far as to consider waiting to write their story until some key person is dead, and countless others fret about the legal jeopardy they might subject themselves to just for telling their truth. This episode brings answers and reassurance—and touches upon fiction as well, in the sense that fiction, too, much be drawn from real characters. Guest Kerry Cohen talks about her four memoirs and shares her feelings on fear, truth-telling, and fallout. Join Brooke and Grant as they recall some of their early public speaking moments—when Grant remembers being a brash, bold teenager who’d say anything, and Brooke recalls forgetting her lines in a Christmas play. More important to writers in this episode, however, are guest Betsy Graziani Fasbinder’s helpful ideas and encouraging words around public speaking. We’ll explore why all writers should give themselves the gift of public speaking training and how public speaking is really just another way to share your story. For this episode, please also check out Brooke’s blog post about preparing for her TEDx talk, which she references in the episode. If you believe in the idea that your book knows what it wants to be, or if you’re interested in hearing more about the ways in which this might be true, this episode is for you. Join Brooke and Grant for a conversation about how we’re in relationship with our books—which means we sometimes have to play and dance with them, listen to what they’re telling us, and even take some time apart. Guest Garth Stein, author of The Art of Racing in the Rain, has some impassioned advice—and a little tough love—for authors on the path to creation, and explains his theory of “pushing the rock,” a metaphor for writing your book. In this episode, Grant and Brooke explore with guest Francesca Lia Block, author of The Thorn Necklace, how writing is healing and oftentimes therapeutic. Today’s episode is about the feeling side of writing—and how touching into that both unlocks deeper places in a person’s writing and has the ability (at least some of the time) to set writers free from their angst and doubts and any lingering messages that might get lobbed at them by their inner critics. If you’ve ever wondered if writing has the power to heal, tune in. Guest Vanessa Hua shares her circuitous path to literary success, which happened later in life, after her 40th birthday, a career in journalism, the birth of her twin boys. In this episode, Grant and Brooke explore the many ways writers seize their creative destinies—by following the thread of their curiosity, by taking up hobbies that spur creative endeavors, and by staying open to possibilities. If you feel like your next Big Creative Thing is just over that next hump, or even more so if it’s feeling frustratingly elusive, this episode will give you a shot of inspiration and the encouragement you might need to keep going, looking, and trying. Everyone is on a hero or a heroine’s journey. The trick is to see your own journey objectively enough to find your way into and through it, and also to claim it as your own—which can be difficult if you are still wrestling with which story or stories are yours to tell. 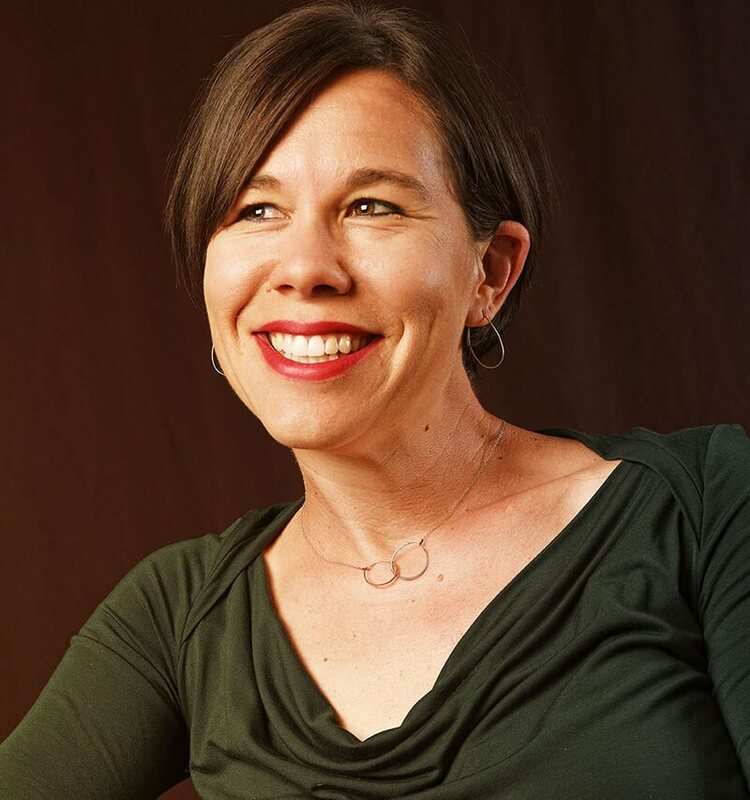 In this episode, Brooke and Grant examine this journey from various angles and genres, and delve into the nuances of the journey with their guest, Laura Lentz, whose new workbook on this very topic, Story-Quest, is just out this month. We hope you’ll tune in to see if you might discover new elements of your own epic journey. Guest Claire Dederer’s 2017 Paris Review Essay, “What Do We Do with the Art of Monstrous Men?” inspired today’s episode about selfishness, and the ways in which we’re often culturally conditioned to feel badly about carving out time for our creative pursuits. Brooke and Grant explore their feelings around selfishness, sharing some of their individual struggles to strike that all-elusive balance, and explore the various ways in which selfishness can be a force for good when it comes to creativity. Catch up with co-hosts Brooke and Grant for this special episode focused on Writerly Resolutions. No guest this week, just Brooke and Grant talking about resolutions—what works and what doesn’t, why most resolutions fail, and why you’re actually awesome if you have the same resolutions year after year. This episode includes lots of good resolution ideas for writers, too, including a writing action from each of the hosts. Many writers write because they have to. Today’s guest, Jessica Valenti, is one of them. Brooke and Grant talk about pursuing passions, your calling, your purpose—even if and when that might come at a cost. While most writers won’t face the kinds of threats Jessica has faced for her outspokenness, all writers are vulnerable to criticism. This episode encourages writers to persevere, and offers inspiration and tips for staying connected to purpose. In this episode, Brooke and Grant examine activism and writing, and consider the various ways in which the very act of writing is activism—even if writers might call it something else. Guest Daisy Hernández shares her experience writing and creating in various forms—books, articles, radio spots, and more—and talks about how urgency shapes what she chooses to take on in her own activist writing. Tune in to discover the ways in which you might be an activist without even realizing it. Grant and Brooke explore the many ways in which writers might cross borders—geographically, creatively, in their life experiences. Guest Mitali Perkins speaks to the experience of crossing borders in life and in fiction, and has inspiring words for listeners about following their inner compass when it comes to writing. This episode touches upon how we use our life experience in our writing, the value of being authentic to yourself and your readers, and reading as another vehicle for crossing borders. Write-Minded is the product of two writing communities coming together to support a podcast for writers about writing—and Deborah Siegel, one of She Writes’ founders, speaks to the power of community and why writers don’t let writers write alone. This episode, the final one in the NaNoWriMo line-up, celebrates community, and Grant, Brooke, and Deborah talk about why writing is better, more productive, and more rewarding when it’s not a solitary pursuit. In this episode, Brooke and Grant honor NaNoWriMo rebels as they botch the NaNo acronym and explore with their guest, Cami Ostman, some of the many ways writers and writing communities come together to have fun and write in November. Brooke talks about being a NaNo Rebel herself as she pushes through her nonfiction book about women and writing, and Grant talks about the NaNo stance on rebels—which is that NaNo welcomes all of you with open arms. After all, it’s all about the writing! The Muddy Middle is inevitable when you’re writing a book—that place all writers get to when the newness of their writing endeavor begins to wane, and the project isn’t feeling so exciting anymore. In this episode Grant commits to trying to make better use of the nooks and crannies of his life, writing even when he has just a ten-minute window, and Brooke confesses that one of her downfalls is needing the conditions to write to be just so. Guest Gennifer Albin, veteran NaNoWriMo writer, has super-helpful tips for getting through the Muddy Middle, and shares how she finds the time and how NaNoWriMo has been a productive and inspiring way to get her writing done. We’re five days into NaNoWriMo, and today’s guests are two seasoned NaNoWriMo Municipal Liaisons who know a lot about the value of a writing community. Brooke and Grant share where they’re at with their writing goals—Brooke slow and steady and Grant sprinting out the gate to get ahead, a strategy he says he always uses since inevitable life issues are bound to throw him off his word count goals every November. This episode is chock-full of ideas for getting out there and finding community—which is the best way to ensure you get your writing done. Join Brooke and Grant in conversation with Susan Dennard, who believes that if we’re not at least looking for that which inspires us about our writing, we might want to make a better effort to find it, or change directions. In this episode, Susan shares her evolution from pantser to planner, and how she goes about planning and prepping, especially now that she writes series. Join us for this helpful conversation that’s part of our month-long get-ready-for-NaNoWriMo series. Do you feel stuck in your story? Not sure where to begin, or where to go? This episode has real solutions! Jessica Brody has taken a popular structure used for screenplay writing and adapted it for novelists—and in this episode she unpacks how that works, explaining beats and how writers can think about them and use them to crack their own stories. As they gear up for NaNoWriMo, Grant and Brooke consider the value of structure, and also reiterate that no matter your approach, NaNoWriMo can be a game-changer in your writing process. 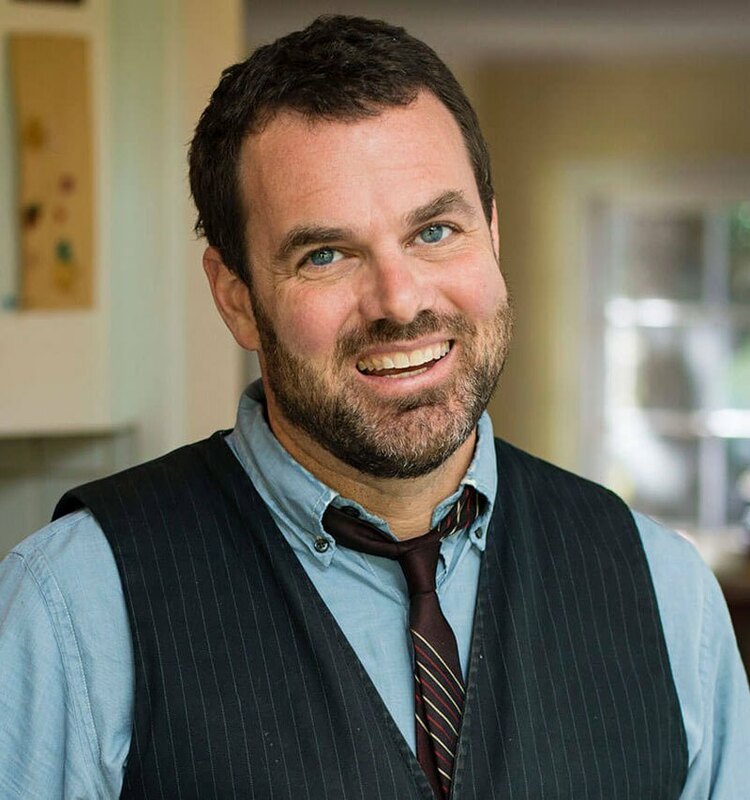 In this episode, NaNoWriMo Founder (and record-holder for the most NaNoWriMo’s ever completed) Chris Baty joins Grant and Brooke to talk about NaNoWriMo’s origin story and how setting the bar really low is part of the point of doing NaNo in the first place. This inspiring episode will help listeners considering doing NaNoWriMo this year get over any anxieties they might be harboring. With less than a month to go, Write-minded is getting in the mindset to get words on the page. This episode kicks off a series dedicated to preparing for and getting through National Novel Writing Month in November. Guest Mary Robinette Kowal has embraced the structure and community of NaNoWriMo for all of her novels, and she shares what it’s like to be a “plantser,” as well as some of her personal strategies around preparing to write a new novel. In this episode, Grant, Brooke, and Mary Robinette discuss the sub-genre of “alternate histories” and encourage listeners to gear up for NaNoWriMo by harnessing some of that “what-if” sensibility at the heart of alternate history storylines. It took today’s guest, Emily X.R. Pan, ten years to finish her novel. In today’s high-pressure, fast-paced, ambition-oriented culture, you hear more about the people who write a book a year than you do about all the writers toiling away at their craft—and the perseverance, endurance, and diligence it takes to finish a book. In this episode, Grant and Brooke talk about taking U-turns in your writing, reinvigorating projects that feel like they’re dying on the vine, and the many variations of creative process that exist. All writers face that nagging, guilting critical voice telling us: you should be writing. This episode’s title comes from Mur Lafferty’s podcast I Should Be Writing, and Mur talks with Grant and Brooke about some of the challenges she and her many guests face in their writing. Writers will always face time constraints and other obstacles to getting their writing done, so today’s episode, perhaps more than anything, provides comfort in knowing you’re not alone (with a bit of inspiration and few good tips thrown in for good measure!). Brooke and Grant share the definition of cultural appropriation from Amandla Stenberg’s YouTube video: “Cultural appropriation occurs when a style leads to racist generalizations or stereotypes where it originated, but is deemed as high fashion, cool, or funny when the privileged take it for themselves.” Your hosts explore this topic with guest Kirstin Chen, who’s given a lot of thought to this subject, having written novels in which she’s embodying characters of cultures different from her own. This episode includes tips for writers about how to write realistic characters, and also best practices to avoid stereotyping and clichés. Grant and Brooke discuss unconventional writing, and how and why it’s not particularly embraced by the traditional publishing industry. Their guest, Kwame Alexander, is best-known for his book The Crossover, which is a YA novel in verse that big publishers didn’t think would attract a wide readership. They were wrong. This episode is a celebration of following your heart and embracing the unconventional. Since social media can be a cornerstone to an author’s platform. Brooke and Grant share how they wrangle with social media—and why it’s a friend and a foe. Their guest, Amy Ferris, shares how she’s grown her Facebook following to capacity, garnering hundreds of comments and shares with each post. This episode will either inspire you to better harness its power, or at least make you feel better if you’re as ambivalent about the whole thing as your Write-minded hosts are. The heart and soul of the Write-minded message (and cornerstone of NaNoWriMo) is that everyone’s story matters. Guest Mark Nepo talks about writing as a birthright, and Brooke and Grant muse over why we should challenge writing as an elitist endeavor. Fear of inadequacy, scarcity thinking, and imposter syndrome are on the agenda, but don’t worry, facing these things head on will often dilute their power—and Mark leaves us with some profound thoughts about self-expression and being (rather than doing) the work of writing. How does she do it? All of us have those friends and colleagues we look at with awe for juggling so much. Aya de Leon, this week’s Write-minded guest, is one of those writers, and she’s got some wisdom to impart. Brooke and Grant acknowledge their own struggles with time, discussing deadlines, time management, and, as always, sharing some inspiring stories of people who’ve made it happen in the most creative of ways. Write-minded debuts with the most grammar-minded guest around, Mignon Fogarty (aka, Grammar Girl). Grant and Brooke delve into perfectionism, the rules (and when to break them), and editing. And if grammar intimidates you, don’t worry, you’re still gonna love this episode. Brooke Warner is publisher of She Writes Press and SparkPress, president of Warner Coaching Inc., and author of Green-light Your Book, What’s Your Book?, and three books on memoir. Brooke is a TEDx speaker and the former Executive Editor of Seal Press. She currently sits on the boards of the Independent Book Publishers Association, the Bay Area Book Festival, and the National Association of Memoir Writers. She writes a monthly column for Publishers Weekly. Grant Faulkner is the Executive Director of National Novel Writing Month and the co-founder of 100 Word Story. He is the author of Pep Talks for Writers: 52 Insights and Actions to Boost Your Creative Mojo, and also published a collection of 100-word stories, Fissures, two of which are included in The Best Small Fictions 2016. His stories have appeared in dozens of literary magazines, including Tin House, The Southwest Review, and The Gettysburg Review, and his essays on creativity have been published in The New York Times, Poets & Writers, Writer’s Digest, and The Writer.